Discrete Fourier transform « Peeter Joot's (OLD) Blog. For decoupling trial solutions of lattice vibrations we have what appears to be a need for the use of a discrete Fourier transform. This is described briefly in , but there’s no proof of the inversion formula. Let’s work through that detail. We can visualize that range as all the points on a sine curve with the integer multiples of omitted, as in fig. 1.1. Now that we know the relationship between the discrete set of values and this discrete transformation of those values, let’s write the transform pair in a form that explicitly expresses this relationship. 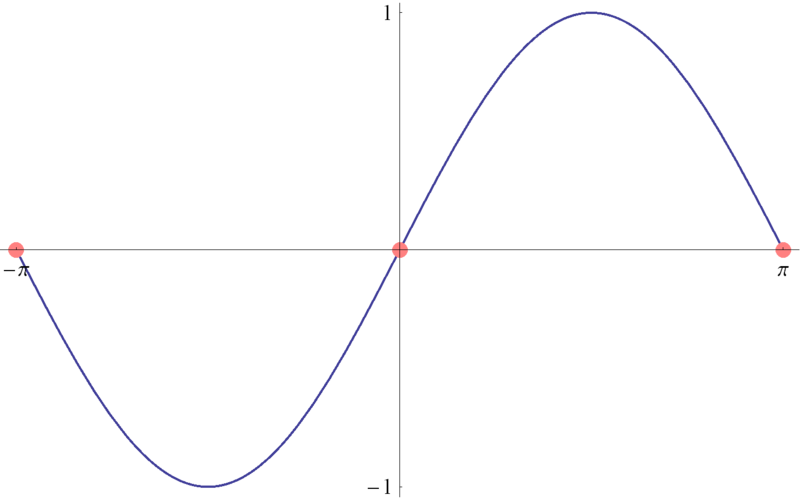 We have also shown that our discrete sum of exponentials has an delta function operator nature, a fact that will likely be handy in various manipulations. S.S. Haykin. Communication systems. Wiley, 1994.